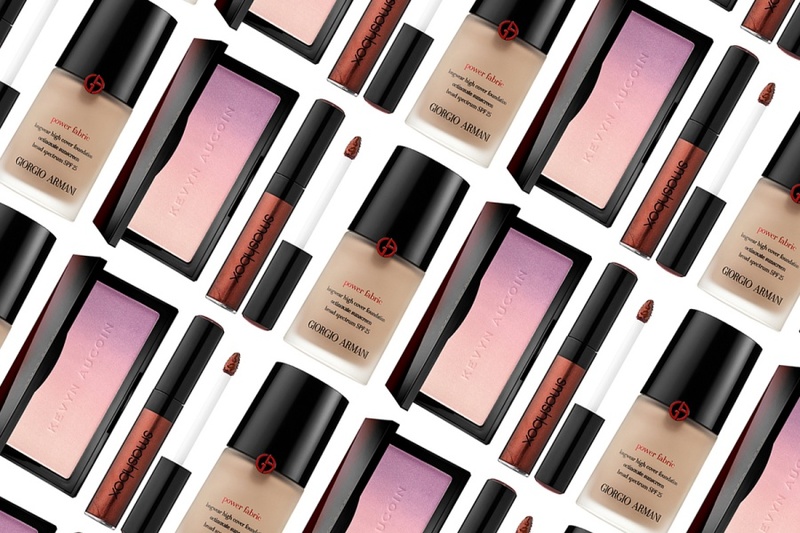 What's New: Smashbox, Kevyn Aucoin and Gorgio Armani | Top Beauty Blog in the Philippines covering Makeup Reviews, Swatches, Skincare and More! A highlighter trio of iridescent shades to brighten the skin for accentuated highlighting and strobing on the face, lips, and lids, a metallic liquid lip formula that glides on the full coverage of a lipstick and the high shine of a gloss in a single coat and a full-coverage, liquid foundation that perfects with a velvet-matte, lightweight, second-skin finish – all available now! Be Legendary Liquid Lip delivers rich, saturated lip color with a metallic finish. Its foolproof, precision tip applicator distributes product evenly, making lips appear more plump and full. Just line your lips with the precision tip and fill in for a texture that feels soft and comfortable — not gritty. Smashbox’s pro artists maxed out the metallic shine in each formula with punched-up pigments and four levels of pearls that capture and reflect light from every angle. The result: a trick of light that makes your lips appear fuller in any light and every photo. Amp up your look with this highly pigmented, three-in-one highlighter for a radiant, multi-dimensional, strobed effect that lasts all day. It’s infused with an iridescent trio of lustrous, rainbow-like ombré color that brightens the skin for an intensified highlighting and strobing effect. Just mix and match the shades to create endless layers of light and color and achieve the perfect, custom glow. This foundation melts into the skin, blurring imperfections while offering daily UVA and UVB broad spectrum SPF 25. Through Armani Beauty’s own Micro-fil Technology, powerful ultra-fine pigments are shaped to provide the highest coverage foundation with the thinnest and lightest texture—allowing a little to go a long way. This foundation combines high coverage, an SPF 25 filter, and an ultra-light formula to achieve flawless results up for up to 16 hours. Because every woman is unique, this foundation features an array of 20 shades to suit all skintones. It’s adapted for each shade to deliver optimal coverage without cracking or dulling. These all sound like awesome products! I would like to try the foundation by Giorgio Armani!